Bulletproof has created the packaging for cider brand Strongbow’s new Dark Fruit variant. The consultancy rebranded Strongbow last year. Studio Output has created a London Underground poster campaign for Ministry of Sound. Street photographer Paul Bence captured images from inside the club, which are matched with typographic slogans taken from classic dance tracks. Studio AM has developed the branding for the new Emporium Theatre in Brighton. The consultancy has worked on the identity, branding, brochures, posters and other collateral, and says its work is ongoing. 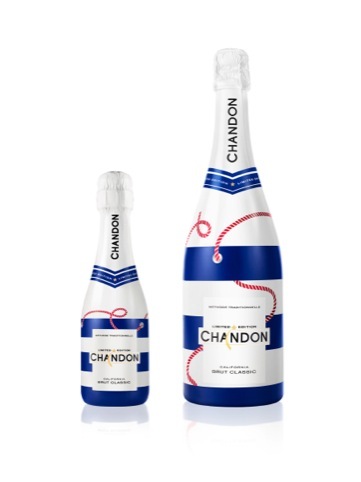 After designing last year’s American Summer limited edition bottles for Chandon, Butterfly Cannon has created this year’s design, using a nautical theme. Zulver & Co is working on new designs for technology integrator Sound Ideas, which works on high-end homes and superyachts. The consultancy was appointed to the work following a three-way pitch. Liverpool-based consultancy Black & Ginger has created the branding for this year’s Liverpool Food & Drink Festival. The annual festival is operated by SK Events, and this year’s will take place on 7-8 September. Corporation Pop has created the new branding and user experience designs for ProReal, a new software platform for B2B coaching and consulting which has been developed in Unity 3D. Very Creative People is working with Soho Coffee Company to develop strategic positioning, branding, advertising, packaging and multimedia including a new website. has designed a new identity for Portsmouth visitor attraction Spinnaker Tower. The new branding features an images of the iconic tower, which is operated by Continuum Group.